Thanks for coming out to our annual Tenant Appreciation Lunch! 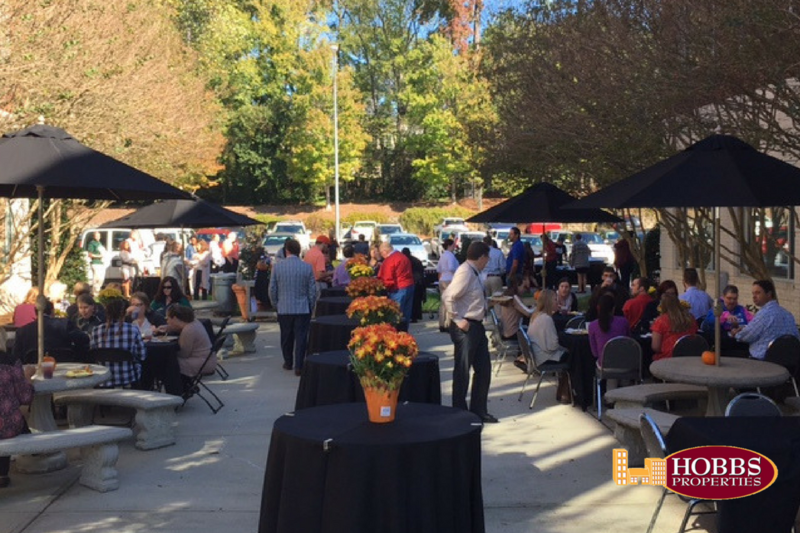 Last week was our annual Tenant Appreciation Lunch. We had an excellent turnout and a wonderful time! We always appreciate any opportunity we can get to talk face-to-face with our tenants. If you attended, we hope you had as fun a time as we did. We hope to see you all again next year! Mark your calendars! 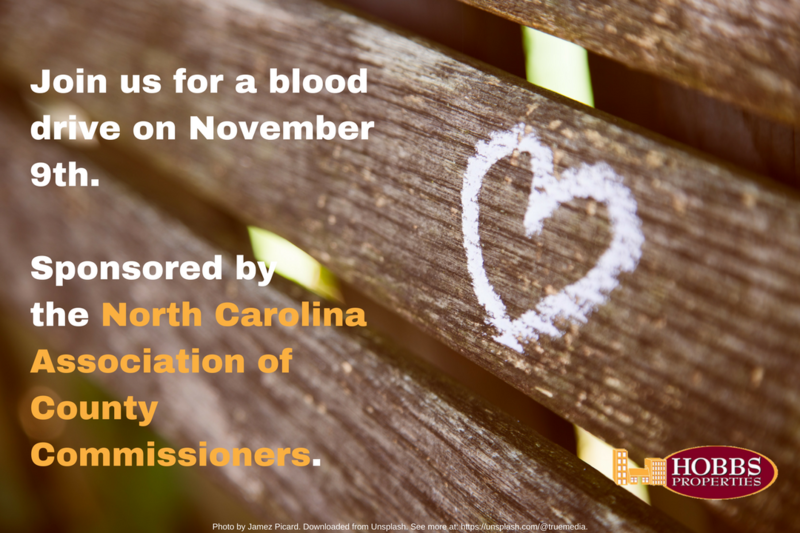 On Thursday, November 9th, NCACC and the American Red Cross will be hosting a blood drive at Six Forks Place III. The blood drive will begin at 10:00 AM and end at 3:30 PM. To schedule your appointment for the blood drive, please click here. 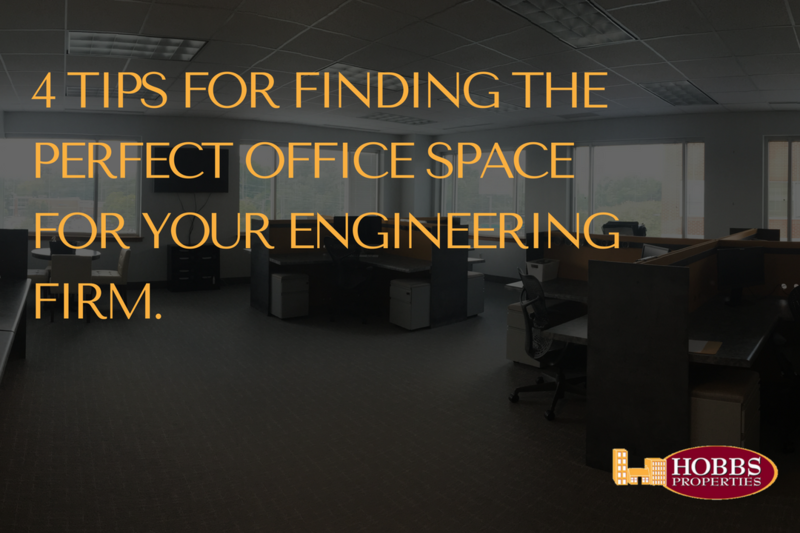 4 Tips for finding the perfect office space for your engineering firm. How to find the perfect office space for your engineering firm. It’s no secret that Raleigh, NC is becoming a globally recognized hub of innovation. In 2015, Entrepreneur ranked Raleigh number 8 on its list of 25 Cities Worth Moving to If You Want to Launch a Business—ahead of the well-known startup pantheons of New York City and San Francisco. As a bastion of education and progress, it’s no surprise that Raleigh is home to over 400 engineering firms. With new firms starting up and moving in every day, this number is only expected to increase. 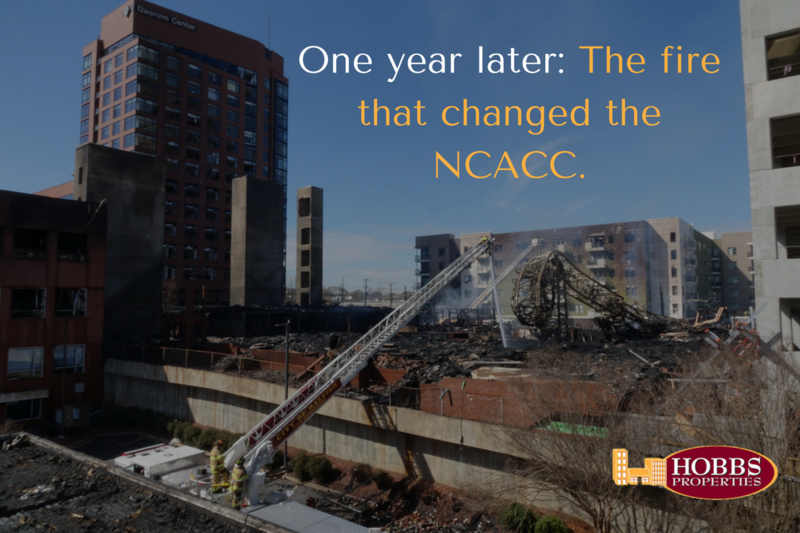 Given the presence and incredible growth of the engineering industry in Raleigh we couldn’t just sit back and let new engineering firms wander aimlessly looking for an office space. So, we partnered with HNTB’s Associate Vice President, Chuck Johnson, to provide new engineering firms with practical advice for finding the perfect office space. Find a landlord who understands your business. When searching for an office space for your engineering firm, finding a landlord who truly understands your business is key to finding a proper office space. Having a local landlord who understands our business and is vested in our success is important to HNTB. [O]ur business and space needs can be a challenge to predict. Hint: Look for landlords who already work with engineering clients as they will have experience finding and fitting offices for companies like yours. You’ve probably heard the phrase, “The 3 most important factors of real estate are location, location, location.” Though this saying is often associated with residential real estate, it holds true for commercial real estate as well. 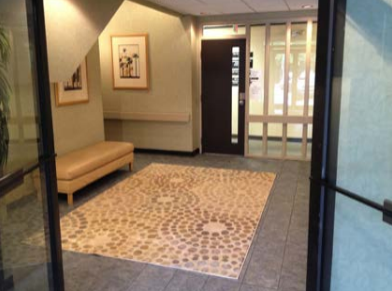 The location of the office is also very important to HNTB. We conducted a study and found that the centroid of all of our employees’ residences was about half a mile from the office, which is extremely close given the size of our municipal area. [I]t is important to have easy access to major commuting routes, lunch restaurants within walking distance, and nearby retail stores and services. Those amenities help simplify the lives of our employees, and serve to retain our quality employees. Having nearby quality hotels and restaurants are [also] important for business reasons. Hint: When selecting your office space, remember to keep the relative location of your customers in mind. 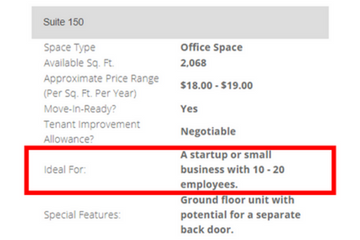 Moving your office to a new city 50 miles away from your customer base isn’t a smart idea. Even a move of 10-15 miles can cause certain customers to turn away in search of someone closer. Chances are, you need a new office space because you’ve outgrown your old one. Though it’s impossible to accurately predict the future, you should try to look for office space that can support your growth. Almost nothing is as annoying to your employees and customers as you moving your office every 2-3 years because you failed to properly plan for your growth. No one has a crystal ball, but you should reference your business plan and think about what you expect to be and how you plan to operate in the future. Knowing that, I recommend developing space that is flexible, functional, and reasonably appointed. Also, plan to make use of technology in the office. Technology can save time and improve efficiency. Therefore, as the cost of technology drops and the cost of labor increases—leverage technology to your benefit. Look for a space that will attract and retain talent. The last thing you want is for potential or current employees to turn away from your company because your office space isn’t properly maintained or designed. Although office space may seem like something that has no bearing on attracting or retaining talent, it actually plays a pretty big role. We have hired over 20 people in our Raleigh office this year, and our office has been a factor in attracting talent. This includes the quality of our space as well as the location, local amenities, and available parking. 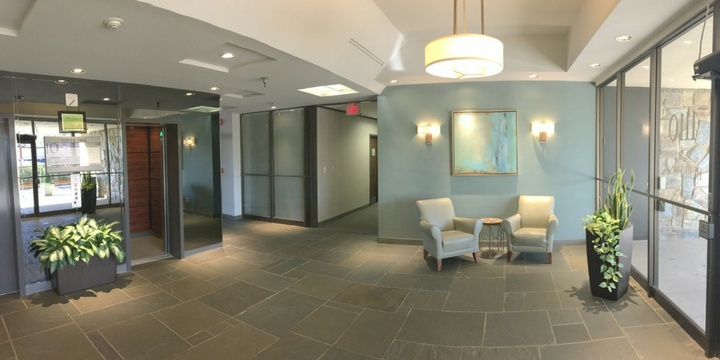 We renovated and reconfigured our space recently and were a little surprised to find that it impacted recruiting and client impressions as much as it did. People visit our office and want to work here. Hint: Look at the companies similar to yours who are attracting top talent. What does their office space look like? How does it feel? What vibe does it give off? Consider this when performing your search. 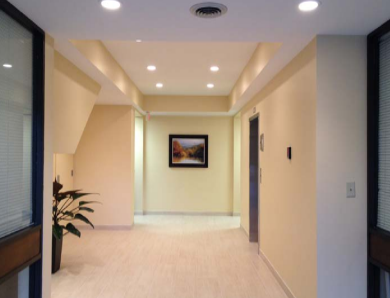 Finding the perfect office space for your engineering firm can be a daunting process. However, by utilizing the 4 tips mentioned above, you should be able to cut a lot of headache and hassle out of your search process. HNTB Corporation is an employee-owned infrastructure solutions firm serving public and private owners and contractors. With more than a century of service, HNTB understands the life cycle of infrastructure and addresses clients’ most complex technical, financial and operational challenges. Professionals deliver a full range of infrastructure-related services, including award-winning planning, design, program and construction management. Update: Renovations to the courtyard at The Grove are almost complete. The new courtyard is almost here! When we acquired The Grove in 2015, we were excited to begin realizing the potential of such a strong and active location. After all, one of the most important aspects of our business is creating and maintaining spaces that attract and retain dynamic clients. So, we began transforming The Grove from a vintage 70s office complex into a space suited to the needs of 21st century companies. 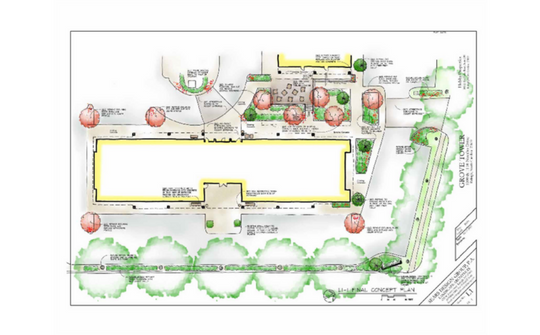 One of the first significant steps that we took during this transformation was renovating The Grove’s courtyard between The Tower and the Woodoak Building. 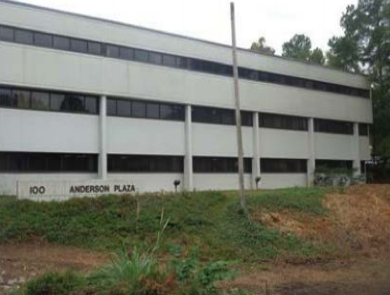 This space is a cornerstone of The Grove complex, covering nearly 3,600 square feet and providing much needed connectivity within the south campus. Moving away from its rigid, industrial park feel, we redesigned the courtyard into a communal area where tenants can step away from the rush of the office and meet over coffee or lunch in a relaxed, lush and inviting environment. 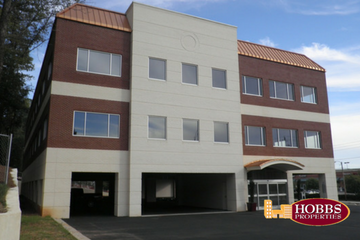 Hobbs Properties is excited to introduce this new space to our tenants and future clients. 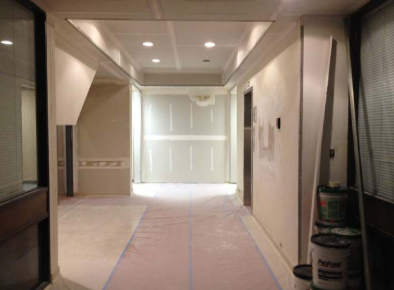 We anticipate completing this renovation by October 31st. Hobbs Properties is proud to announce that Blue Sky Industries has moved into Woodoak at The Grove! Blue Sky Industries is a world-class distributor of aerospace hardware. With its new sales office, Blue Sky will be perfectly situated to support aviation customers throughout North Carolina and surrounding states. Since the days of the Wright Brothers, North Carolina has had a strong tradition in aviation, and has recently seen a major boom in aerospace manufacturing, maintenance, repair, and overhaul. Blue Sky Industries believes in working close to its customers, so the new Raleigh sales office is a key step for the future. This announcement originally appeared in the Summer 2015 Newsletter. 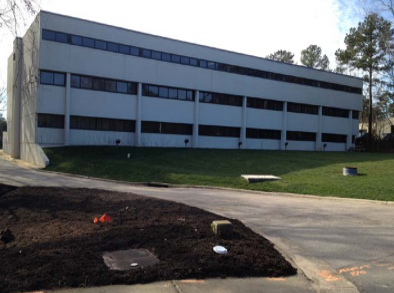 This April, Hobbs Properties assumed management and leasing of a three building office campus known as The Grove. The Grove is built on historic property known for two things: proximity to downtown and oak trees, for which Raleigh, as the City of Oaks, is famous. This site is also unique due to its 200+ year legacy for its close proximity to the Capital and the main thoroughfare for trade and travel in and out of Raleigh. Today, that historic thoroughfare is known as Wake Forest Road, and The Grove continues to live up to its location’s legacy through its adjacency to both Wake Forest Road and the Beltline. 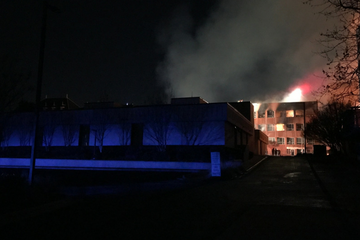 This high trafficked area has hotels, banks, restaurants, and Duke Raleigh Hospital all within walking distance, while North Hills, Midtown, the Six Forks Corridor, and Downtown are just a short drive away. Completed in the mid-1970’s, The Grove is named for its large grove of oaks, each tree greeting you as you drive through campus on Navaho Drive. The beautiful oak trees have the added bonus of providing shade to cool you down in this summer heat wave. 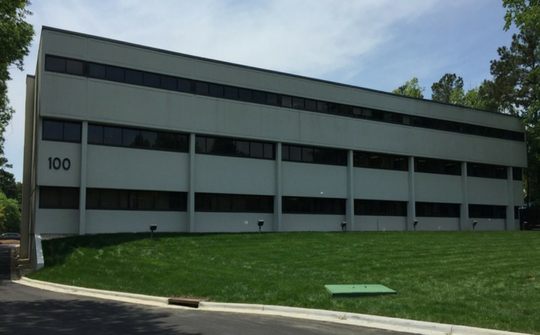 This office location is a prime example of why national and international businesses are increasingly drawn to Raleigh for their new home. Hobbs Properties has already begun renovations to update the buildings’ interiors. Come visit our on-site management office to see why this location endures such timeless success. Sign up now for our blood drive on April 17th, 2015! Come support the community and help save lives by taking part in the Spring Blood Drive sponsored by Steward Wealth Strategies. On April 17, 2015 from 10:00 AM until 2:00 PM you and your fellow employees can all become blood donors. All you have to do is bring yourself and a picture ID to Six Forks Place II and register inside the building lobby before you go into the bloodmobile to make your donation. You can sign up online here or contact Megan Pennington at (919) 803-0035 or by email at megan@steward-wealth.com. ​This announcement originally appeared in the Spring 2015 Newsletter. 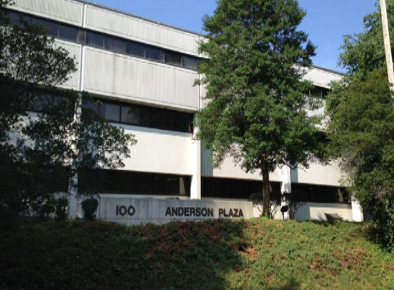 The renovations at 100 E at Anderson Plaza are finally complete! This announcement originally appeared in the Spring 2015 Newsletter.